Can make a stone of the voter. On spending that had run wild. What is it but respite? Was it needless austerity after all? For all that was done and said. Then Irish Minister for Foreign Affairs, and with a bust country still able to put a delegation in the Damascus Four Seasons, Micheál Martin meets Bashar al-Assad in 2009. It's been a long strange road since then for both of them, but yesterday an Irish election and a Syrian cessation of hostilities now have them in their strongest power position in years. Trump might be the most visible symbol of a global political capriciousness, but he's not the only one. I will be on Israel’s side every single day because they are the only pro-American, free enterprise democracy in the entire Middle East. Finance Minister Moshe Kahlon faced further pushback on major agricultural reform, even as he proceeded to lower import tariffs on meat. Earlier this week, Kahlon announced a reform that would do away with agricultural boards and import tariffs in favor of direct subsidies to farmers, in line with OECD recommendations. Farmers requested time to offer an alternative plan. On Tuesday night, Kahlon proposed a first step for the duration of the Passover season, which would reduce fish duties by 50 percent, raise the annual tax-free quotas on olive oil from 2,800 tons and on frozen vegetables from 10,000 tons, and increase other vegetable imports ahead of Passover. The move is open for public comment. There's a fantasy "free enterprise" version of Israel's economic policies which is based on some successful high visible sectors like technology and defence, but it bears little relationship to the reality of economic and social policy in Israel. Why aren't tax cuts for rich people more popular? Mr. Arbess, the founder of Xerion Investments, is a member of the Council on Foreign Relations and co-founder of No Labels, promoting political bipartisanship. At this point in the presidential campaign, all the ideas for stimulating growth are coming from the Republican side: Marco Rubio has discussed the transformational challenges of the tech economy, and he has proposed alternatives to traditional campus-based higher education (online college and flexible vocational training); innovative student-loan programs; and corporate tax and regulatory reforms. Jeb Bush and John Kasich are also reform-minded, including promoting initiatives to ease the burden on small businesses that power job growth. One indicator of the IMF’s refocusing on Africa is that Christine Lagarde, its managing director, has visited the continent several times in the past year to speak at high-profile events. IMF staff say past chiefs went to Africa less frequently and usually under the radar. 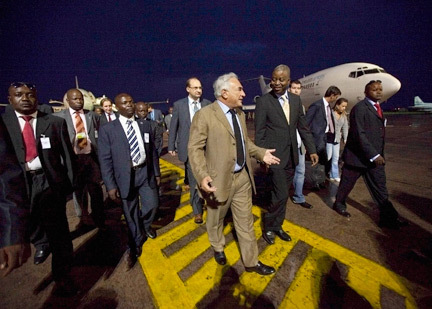 Above, former IMF Managing Director Dominique Strauss-Kahn visiting Kinshasa in 2009. In his South Carolina tied-for-second victory speech last night, Marco Rubio laid out various poor family scenarios and then claimed what the poor really really needed was "limited government, free enterprise, and a strong national defense." Do any actual thinking conservatives (e.g. the "reformicons") actually believe that anymore? Also, his compulsive water sipping from earlier in the campaign has been replaced by compulsive lip-pursing. Still something weird about that guy. Or, to change the metaphor slightly, professional investment may be likened to those newspaper competitions in which the competitors have to pick out the six prettiest faces from a hundred photographs, the prize being awarded to the competitor whose choice most nearly corresponds to the average preferences of the competitors as a whole; so that each competitor has to pick, not those faces which he himself finds prettiest, but those which he thinks likeliest to catch the fancy of the other competitors, all of whom are looking at the problem from the same point of view. It is not a case of choosing those which, to the best of one's judgment, are really the prettiest, nor even those which average opinion genuinely thinks the prettiest. We have reached the third degree where we devote our intelligences to anticipating what average opinion expects the average opinion to be. And there are some, I believe, who practise the fourth, fifth and higher degrees. Then came the great War. Every institution, almost, in the, world was strained. Great Empires have been overturned. The whole map of Europe has been changed. The position of countries has been violently altered. The modes of thought of men, the whole outlook on affairs, the grouping of parties, all have encountered violent and tremendous changes in the deluge of the world, but as the deluge subsides and the waters fall short we see the dreary steeples of Fermanagh and Tyrone emerging once again. The integrity of their quarrel is one of the few institutions that has been unaltered in the cataclysm which has swept the world. It's the August 2015 peace agreement [sometime later on Saturday it was corrected]. But the way things are going in South Sudan, there'll soon be an equally delusional August 2016 peace agreement that also won't be implemented. All they [Eurosceptics] are offering is risk at a time of uncertainty - a leap in the dark. That's an understandable argument, but a logically tricky one. If circumstances are changing, due in part to the structures of the EU itself (e.g. on migration and the Eurozone crisis), why is remaining in the best option? Nonetheless, in the interests of securing our preferred outcome, this blog will permit Cameron to use "best of both worlds" as a campaign slogan. The River Shannon is the longest in the British Isles and stretches across some 360km touching 18 counties. What is needed is a state backed bank along the lines of the Industrial Credit Corporation (ICC) which operated successfully in the economy for many years. The passport files from the Department of Justice are with the Moriarty Tribunal investigating payments to former Taoiseach Charles Haughey and Transport Minister Michael Lowry, according to the taoiseach. Ahern said a “reputable American businessman and his wife” — later revealed to be Florida based Jerry and Elena Lindzon — opened two investment accounts in the government-owned Industrial Credit Corporation bank in 1991 with the intention of getting a passport. A third account with IR £10,000 was also opened as a joint deposit account with Irish businessman Brian O’Carroll. Ahern said that in July 1993 O’Carroll transferred IR £10,524.59 (the extra money was interested earned) from the joint account — after being approached by a Fianna Fail national executive finance committee member — to a current account in the name of Reynolds/Ahern in the Bank of Ireland in Baggot Street. This was a fundraising account in the name of the party leader/trustees and party treasurer. The cash transfer was an interest free loan, which Ahern said, was always repayable on request. It was part of a scheme that was intended to run for three years from 1993. The cash involved has not been repaid. No request has been made to repay it. The loan scheme was part of efforts to help bail out Fianna Fail’s severe financial difficulties at the time. The party is believed to have owed about IR £3 million and the scheme had raised about IR £300,000. Consider just for a moment the logic by which a state development bank was handling personal accounts linked to a passports-for-sale scheme which in turn had crossover links to party political financing. Then on March 25, 2003, in an interview after the Oscars, he called the war “a mess” and said: “If they keep fighting it the way they did today, they’re going to have a real problem.” The key to understanding his statement is the phrase “the way they did today.” Mr. Trump had clearly heard about that day’s bloody, confused fighting in the battle for Nasiriyah, which ended a few days later with a complete U.S. victory. The Iraqi fighters consisted of the notorious Saddam Fedayeen, Al Quds, and Republican Guard Special Forces, as well as Iraqi regular army soldiers. An assault amphibious vehicle (AAV) company reinforced the battalion, thus every rifle company was mechanized. A reserve tank company also augmented the force and was utilized in the team mech and team tank task organization. The battalion was essentially road bound due to the consistently unreliable off-road terrain in the region. The first enemy fires were indicative of what was to come. Most of the enemy fighters were wearing civilian attire. They were employing mortars and machineguns from the roofs of mud huts in close proximity to civilians. The battle did indeed end in a victory for US forces (and also uncorked the now long-forgotten Jessica Lynch frenzy) but look again the description of the Iraqi side: an ad hoc coalition of various regime elements, in civilian clothes and settings, and using mortars and guns rather than mechanised forces. In other words, a summary of what the US would be up against for the subsequent 5 years in Iraq. Trump was right. Although Saddam's conventional defences would soon collapse, the irregular forces found techniques that made "the way they did today" ineffective and extraordinarily costly to the US. The US conservative lamenting and fulminating in the aftermath of the death of Supreme Court Justice Antonin Scalia makes frequent reference to how what happened to the nomination of Robert Bork in 1987 somehow justifies a particular course of action -- basically leaving the Court dysfunctional for a year -- now. 1987 was a really long time ago. 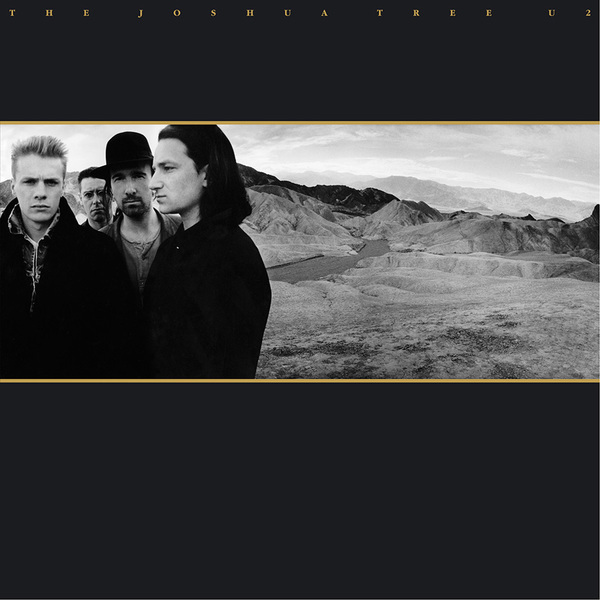 The Joshua Tree was issued. Star Trek: The Next Generation premiered. Thankfully the principals in both of those, er, enterprises are still with us, but to look back at a listing of events in 1987 is to be reminded of what a different world it was. Among other things, it was a world in which Saddam Hussein could attack a US Navy ship, killing 37 sailors, and get just a wag of the finger. And a world in which a US president could admit illegal dealings with Iran and not get impeached. But anyway, there's a pundit/operative elite for which the Bork nomination is remembered as if it were yesterday. Which, in the context of the law school oriented background of that elite makes sense: every case is a potential precedent that needs to be kept at the ready. Whether those are good principles for running a country is another question. Upon due consideration of the difficulties identified to this point, it is obvious that the recount cannot be conducted in compliance with the requirements of equal protection and due process without substantial additional work. In other words, the reverence for the originalist context of the constitution, when processes took months, suddenly becomes that it might take a few weeks to do a proper recount in Florida, so they blocked it, and George W. Bush became President on the basis of a partial vote count. That's part of Scalia's legacy. Yet despite the complete failure of his policies, [President] Maduro has made it a priority to meet payments on sovereign debt, even at the cost of squeezing imports further. This is because a default would threaten the regime’s existence: it could allow creditors to seize oil cargoes and assets abroad, choking off the revenues on which the system of political patronage depends. This from a government that bathes in the rhetoric of Hugo Chavez. Elites hate debt default. Their modus operandi depends on liquidity. A milder version of the same phenomenon has been at work in the Eurozone. Reuters photo (by Alaa Al-Faqir) of an unexploded cluster bomb in a town in Deera province after Syrian government airstrikes. Many countries have signed the convention adopted after a conference in Dublin in 2008 to stop using cluster munitions, but not Russia or Syria. Incidentally, the same Reuters story reports that even the principals think that the Kerry-Lavrov Pact is more likely than not to collapse. The ISSG members decided to take immediate steps to secure the full support of all parties to the conflict for a cessation of hostilities, and in furtherance of that have established an ISSG ceasefire task force, under the auspices of the UN, co-chaired by Russia and the United States, and including political and military officials, with the participation of ISSG members with influence on the armed opposition groups or forces fighting in support of the Syrian government. So Russia is co-chairing, and thus co-vetoing, a process meant to lead to a ceasefire, while it's actively engaged in flattening Aleppo! The rush in which the statement was put together is revealed by the fact that it uses two different names for the Al Qaeda affiliate in Syria: Jabhat al-Nusra and ANF (al-Nusra Front). At least it avoided the Pentagon cover name for attacks on al-Nusra Front, the Khorasan Group. RIYADH, Jumada 03, 1437, February 12, 2016, SPA -- Brigadier General Ahmad bin Hassan Asiri, the Military Advisor to the Minister of Defense, asserted that the decision of the kingdom of Saudi Arabia to send ground troops into Syria is an "irreversible decision." This came in remarks made by Brig. Gen. Asiri to reporters on the sidelines of the meeting of the international coalition to counter ISIL (Da'esh) which was held at the headquarters of NATO in Brussels on Thursday. The Obama administration seems as eager as ever to airbrush out the many blotches on their Syria policy. But the signals are coming loud and clear from Riyadh that they're looking for a way to send troops to counter the Moscow-Tehran-Damascus axis. The White House can't say it wasn't obvious what was going to happen. It's somewhat strange that "not really moving the needle" hasn't joined "JV team" and "we have contained ISIS" in the President Obama list of cursed phrases about Syria, because as for the needle, at this point not just Bashar al-Assad and Vladimir Putin but also Turkey, actual Syrian rebels and Obama's own defence department agree that Russia has moved the needle in Syria, a lot. In a truly bizarre editorial, the Wall Street Journal has found the real culprit in the USA's oil belt recession due to low oil prices -- Barack Obama! With oil and gas drilling now hurting, tech is the main growth area left and even that is in question as the global economy slows. In a normal expansion, growth elsewhere would offset a downturn in commodity markets like oil, but not this time. All of which made it strange last week to hear President Obama use January’s lackluster jobs report as an opportunity to claim economic triumph. “The United States of America, right now, has the strongest, most durable economy in the world,” he said, mocking Republicans for “their doom-and-despair tour” in New Hampshire. He’s right if his comparison is Europe or Brazil, but that’s little consolation in Oklahoma. In a vast country where the Journal would be quick to claim that regional outcomes must be due to conservative policies, it's somehow the job of the federal government to immediately provide an alternative source of boom for states in a commodity bust. The Journal's preferred response in other situations, such as Flint -- "on yer bike, losers" -- is apparently not acceptable. And I do think that you’ve seen from the Russians a recognition that, after a couple of months, they’re not really moving the needle that much, despite a sizeable deployment inside of Syria. And of course, that’s what I suggested would happen -- because there’s only so much bombing you can do when an entire country is outraged and believes that its ruler doesn’t represent them. The large-scale assault on Aleppo is a glaring contradiction of that assessment, which was flawed from its assumption that the al-Assads would be looking for legitimacy from the entire country. They only need an Alawite coastal belt with an quiescent Sunni hinterland, and the Russians can derive enough strategic value from that to make it worth their while. The C-Span clip is Marco Rubio after a campaign rally in Ames, Iowa -- when even sympathetic audience members who stick around for the meet and greet are able to get more revealing answers to policy questions than Rubio provides in the main speech. In this case, a questioner gets Rubio to clearly state -- as one has to multiply-click on his website to establish -- that his alternative to the Affordable Care Act (ACA) involves giving everyone a federal tax credit that can be used to purchase a health insurance plan from any insurance company in any state, regardless of where they live. That may sound innocuous, but it's actually an unravelling of the entire American health insurance system, which relies on state-by-state regulation. The only way to forestall an insurance death spiral as healthy people purchase policies in the least regulated state would be a massively increased federal role in health insurance -- way beyond what ACA has. That's from Marco Rubio's website. Referring to the gun rights as interpreted by courts based on words written in the late 18th century as sacred. Words have meanings! Global policy elites implemented their two-pronged answer to the Syrian crisis this week: a fund-raising conference in London for neighbouring countries coping with the refugee influx, and negotiations to end the war in Geneva. The outcome has been a predictable but nonetheless apparently surprising (to the aforementioned elites) disaster. London sent the signal that there was billions of dollars on the table to cope with refugees in other countries. Geneva sent the signal that the warring parties in general, and the al-Assad regime in particular, should maximize their military gains before getting dragooned into peace talks. The outcome: a massive Russian-backed assault on Aleppo, and tens of thousands more refugees headed to neighbouring countries who've been assured that the donors are there to help them cope, something that the al-Assad regime knows as well. “a scruffy and uncouth production of nations in the Middle East" that “has no place in our community." Prime Minister: I absolutely agree that this decision is for the British people, and the British people alone, and they certainly do not want to hear lectures from other people about that. It is because this affects Britain’s relations with the rest of the world, and other issues, that there may well be people who want to make a positive contribution, and that is a matter for them. I think that the peace process is secure and we must keep going with it, and I believe that the Taoiseach is a friend of the United Kingdom. He spoke up very strongly for Britain at the European Council, and I think he was quite influential in trying to build good will, and saying that we in the European Union should recognise that if a country has a national interest at stake and needs things fixed, we must be a flexible enough organisation, because otherwise we will not be able to sort those things out. Iraqi security forces have begun building a concrete wall surrounding the capital Baghdad in a bid to prevent attacks by Islamic State militants, a military statement said on Wednesday. Islamic State, the ultra hardline group that seized vast swathes of territory north and west of Baghdad, claimed several attacks in recent months in the Iraqi capital. The last one, on Jan. 11, targeted a shopping mall and killed at least 18 people, according to police sources. The planned security barrier will surround the city from all sides, said Baghdad Operations Command's head Lieutenant-General Abdul Ameer al-Shammari, in a statement published on the defense ministry's website. The preparatory work on the wall started on Monday, he said. This comes a couple of days after news that the Iraqi Kurds are building a long trench facing the rest of the country. Lines on a map are becoming less and less relevant in the Middle East. Social inequality is always felt more acutely than economic inequality. Trump rose up on behalf of people who felt looked down upon, made them feel vindicated and turned social conduct on its head. But in Iowa on Monday night we saw the limit of Trump’s appeal. Despite the Austen-esque sweep of that statement about social inequality, Brooks presents zero evidence that it's true. It seems rather that he has transplanted his hilarious and accurate diagnosis of upper middle class envy -- status-income disequilibrium -- to much lower down the income distribution, and without explaining where the status mismatch arises. If the relevant group has lower status and lower income, there's no disequilibrium. It's just plain old inequality. Tens of thousands of trapped Iraqi civilians are running out of food and medicine in the western city of Falluja, an Islamic State stronghold under siege by security forces, according to local officials and residents. The Iraqi army, police and Iranian-backed Shi'ite militias - backed by air strikes from a U.S.-led coalition - imposed a near total siege late last year on Falluja, located 50 km (30 miles) west of Baghdad in the Euphrates river valley. Al-Assad regime sieges of Syrian towns are rightly getting a lot of attention, especially when set against the farce of "peace" talks in the luxury of Geneva. But there's a major blind spot about similar sieges in Iraq, because the alignment of international "partners" and local forces is different. And remember, re-taking Mosul from ISIS will be all this multiplied many times.